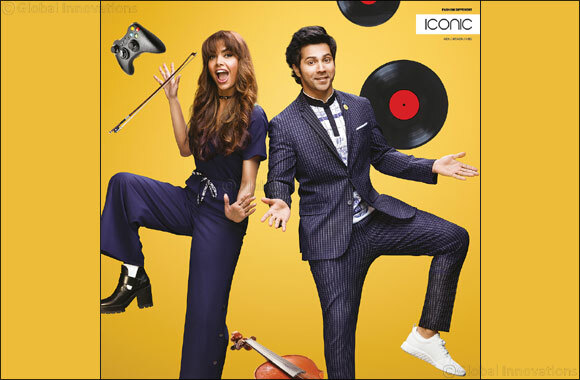 Dubai, UAE, March 20, 2018: ICONIC, the youngest fashion destination from the stable of retail conglomerate Landmark Group has just launched its Summer’18 campaign with brand ambassador Varun Dhawan. Adding oomph to the campaign alongside Varun is Bollywood star Esha Gupta. The fresh and youthful campaign will showcase the best of the summer trends in true ICONIC style. With the new collection, you can define your seasonal style with an array of trends ranging from the casual safari look that highlights comfort and relaxed attitude to a more feminine and whimsical ladylike dress code. Casual resort wear is key for women while Men lean towards a minimal line with a contemporary look playing with prints. Men can take their pick from collections that feature a ton of Pink for those who embrace more washed out tones. The new campaign and the uber cool TVC is out in the GCC and across varied communication channels including Outdoor, Radio, TV & Online.